Open to all Male/Female University & Polytechnic Students in Nigeria. ▪Age Bracket-- 17yrs to 27yrs. ▪Must be a University or Polytechnic Student. Auditions will hold online & Camping/Grand finale hold in Lagos State, Nigeria. 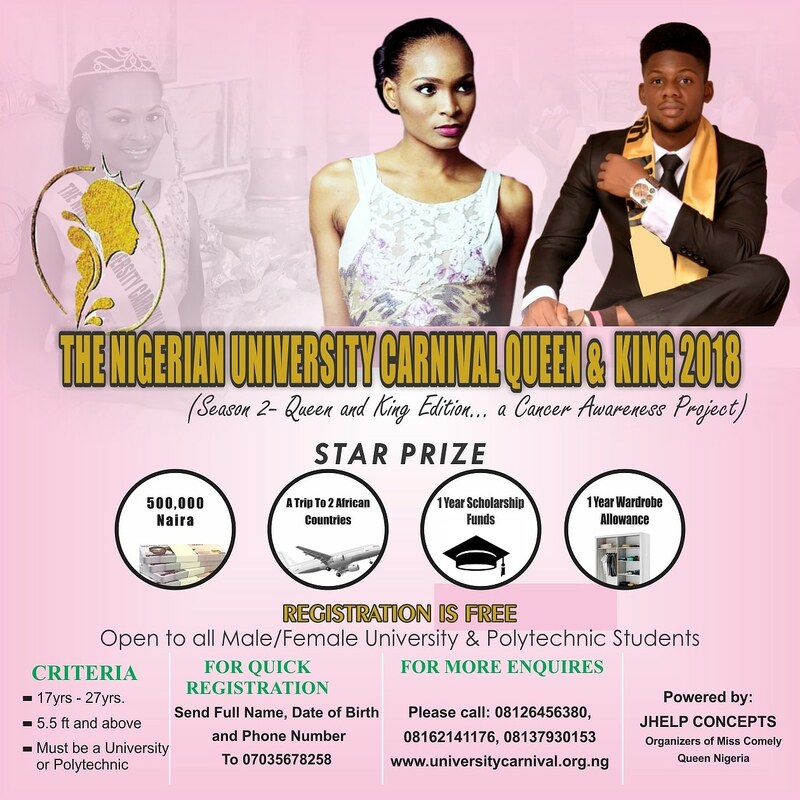 Winners set to host the 1st Cancer Awareness University Carnival in Africa. 2nd August 2018 --- Short film production "Movie title- Unbounded"
4th August 2018-- The Nigerian University Carnival Queen and King 2018 Grand finale.